This card was a real challenge for me - a card using Summer Starfruit as one of the main colors does not come naturally to me. I know there are a lot of people out there that like it, but it just hurts my eyes LOL. I kept a lot of white space on this card to try and tone down the starfruit - not sure if it worked. I do like the pattern in the Sycamore Street DSP so I used that and then used markers to color the chevron image from Oh Hello. Again I used a Designer Builder Brad for my embellishment. 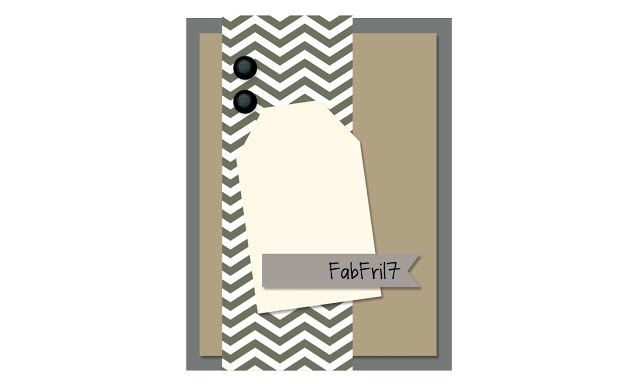 Edited to Add: This card was chosen as a Fab Fave at Fab Friday and earned the PPA Pick Badge and was a Goddess Pick at Stampin' Royalty! Woot, woot! I think you toned it down brilliantly, Karren, and all your colors nicely balance each other! I also love the way you used on of those brad thingies on your card. I have a bunch of them, so I appreciate the inspiration!! Beautiful! I love how you offset the chevrons on the tag. And the Summer Starfruit looks great in your design…don't stress! =) Thanks for sharing at Fab Friday! I just love this! The colors are great and I love that stamp set! Thanks for playing at Fab Friday! Very classy - I love this! Fun colors and different for a mother's day card! Thank you for playing along with Fab Friday! Very pretty card!! I'm glad that stamp set is sticking around!! Thank you for joining us at Fab Friday!!! This is fabulous....now I am wishing I had gotten some of the Sycamore Street DP! Congrats on your PPA win, too! Wow! What a great card, Karren! I love how you paired this stamp image with the Sycamore DSP! It looks wonderful together! 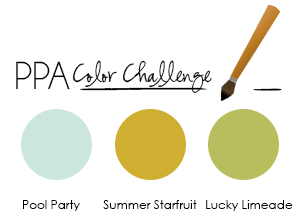 Great job with the challenge colors and congrats on being a PPA Pick!